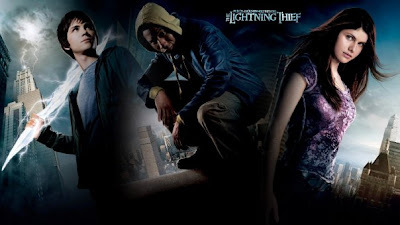 Percy Jackson & The Olympians: The Lightning Thief is the best movie i watch, rasanya ku mahu menontonnya lagi sampai lebam, haha. Rating 1st movie2 yg di tayangkan di Malaysia, setakat ini kot. Kot2 cerita lain boleh lawan. 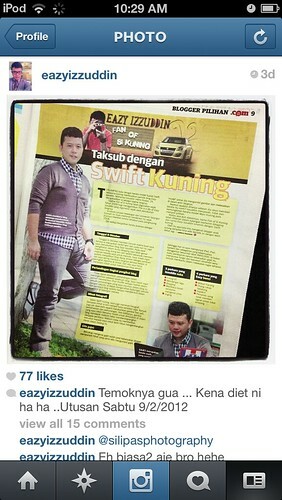 I Think i obsesses with this movie, haha, sesiapa belum menontonnya sila lah menonton di pawagam terdekat anda. 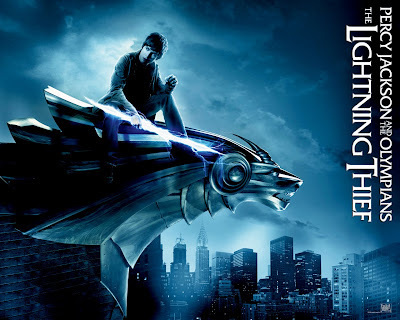 A little synopsis about this movie, Trouble prone Percy Jackson is having problem in high school, but that's the least of his challenges. Its the 21st century, but the gods of Mount Olympus seem to have walked out of the pages of Percy's Greek mythology text and into his life. 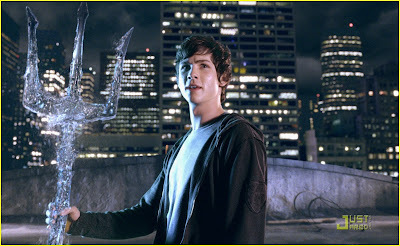 Percy has learned that his real father is Poseidon, god of the sea, which mean Percy is demigod, half human, half god. At the same time, Zeus, the king of all gods, has accused Percy of stealing Zeus' lightning bolt, the original weapon of mass destruction. Lightning Bolt. Now, Percy must prepare for the adventure of a lifetime, and the stakes couldn't be higher. 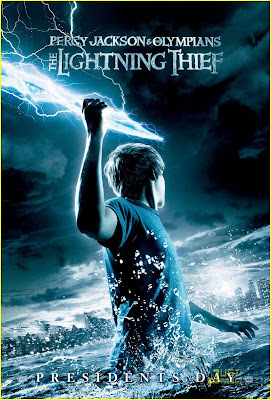 With ominous storm clouds brewing over the planet and his own life now in peril, Percy travels to a special enclave called Camp half Blood, where he trains to harness his newly discovered powers and prevent a devasting war among the gods. 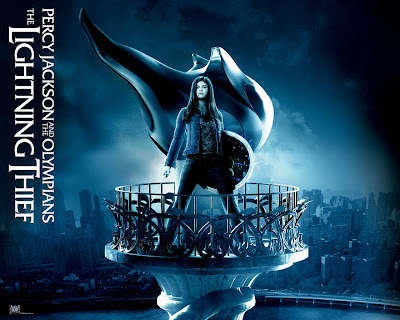 There, Percy meets two fellow demigods, the warrior Annabeth, who is searching for her mother, the goddes Athena, and his chilhood friend and protector, Grover, who is actually a brave but untested Satyr. Continue journey to safe Percy Mom. Grover and Annabeth then join Percy on an incredible transcontinental odyssey that takes them six hundred stories above New York City ( The portal to Mount Olympus ) and to the iconic Hollywood sign, under which burn the fires of the Underworld. At the journey's adventures end rest the fate of the world and the life of Percy's mother Sally, whom Percy must rescue from the depths of Hell itself. 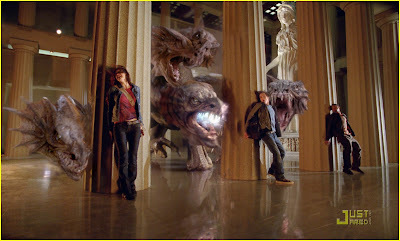 Percy Jackson: Half Human, Half god, All hero! xD. :( taPi tade maSe aGi..
suNggUh bZ kerJa :(( dan asgmt..
Kelihatannya menarik juge ye.. Huhuhu..
ok cr dvd.. bole tgk bnyak2 kali..
Alamak... tak sempat lagi nak pergi tengok.... Best ker...??? Salam kunjungan salam ziarah…. 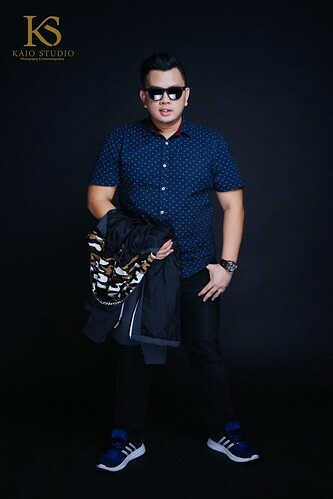 Thanks kerana berkongsi story pada kami … kami sedang berusaha membaca older post entry kamu….